I remember when I told two of my best friends. We were cutting through a neighbor’s backyard and I stopped them. “I have to tell you something . . . my parents are getting divorced.” There, I said it. Out in the open. For some reason, I had a huge smile on my face that I couldn’t wipe off. I was not happy, but my facial expression had taken on a life of its own and I had no control over it. That was that and we didn’t really talk much more about it. I was fifteen.Life went on. I became even more obsessive with my school work than I already had been. I involved my self in several extra-curricular activities and picked up extra hours at my job at the local public library. I was the star student. I made long lists of things to do to make myself feel busy. I grew depressed. I moped around, cried a lot and occasionally completely broke down. I would suddenly burst into tears while hanging out with friends. I felt ashamed of my dark emotions and my inability to be happy like my friends seemed to be. Somehow I did not connect those feelings with my parents’ divorce, and I thought I had no right to have them. Time marched on. I moved away to college. I chose a major that initiated me into a journey of self-exploration. At the end of my junior year in undergrad I got engaged, and all hell broke loose. The shelf on which my family issues had been neatly tucked away came crashing down. A sequence of events led to my father writing me a long letter basically blaming me for the distance in our relationship and telling me he would put no further effort in. He threatened that if I did not do certain things he would not attend my wedding. In addition to my family pain, priesthood leaders said and did some things that in my perception were abusive, adding to my misery. The wedding day came and went, and life moved on. Now that I was married, I was in a safe place where I could face my past. I spent nights crying in my husbands arms as I grieved the ideal father I wished I’d had. So many times I wanted to scream at him “You left me, I didn’t leave you!” I was tired of being the “grown-up” in the relationship and was angry that he didn’t step up.As I continued my education in being a therapist, I began to see how depressed I had been in high school. I was angry at my mother for not seeing the problem and for not helping me. I was angry at my father for leaving me, and telling me it was my fault we were distant. I felt angry and hurt about a lot of things.Forgiveness is sweet. I have come to realize that my parents did the very best they knew how. My father wanted to be a good father. He has his own emotional pain to deal with, and did the best he could given what he was dealt in life. My mother had never dealt with her own issues, and had six other children at home. How could she have seen my pain when she couldn’t admit to her own, and was much too preoccupied with her daily caregiving tasks anyway? They did their best. They love me. I really know that. Things aren’t perfect, but I have now grieved the loss of what could have been, and forgiven them for not being perfect parents. Somehow grace has worked its miracle and I’ve been able to let go. It’s freed me of many of the burdens of my past and I look forward to my future with a more open heart. Now I only hope that my parents can forgive me for not being the well-behaved Mormon girl that they had hoped to raise. Previous story "In the Shadow of Thy Wings"
You are right, “Forgiveness” is sweet. Definitely one of the most underrated emotions. “Love” gets all the credit, and “Anger” or “Jealousy” gets a lot of attention, but “Forgiveness” is sweet indeed. BTW, have you ever blogged about “priesthood leaders said and did some things that in my perception were abusive, adding to my misery”? That statement is just crying out for more details! Great point about forgiveness, Matt. I haven’t blogged about my experiences with priesthood leaders. The forgiveness on my part is not complete yet. Beginning to tell my story and articulate my issues with my parents helped me to work through a lot of the grief. I am more hesitant to tell the other stories, because I don’t want to be inflammatory. I’m wondering what might be a proper time and place for those stories. You’ve got me thinking. Wow, Amy. Great post, very moving, I don’t really know what to say. I wish I could give you a hug, and say damn, I’m sorry you had to go through that, I’m sorry to hear about your pain. And thanks for having the courage to bare yourself like this. Being naked in front of the crowd (of Mormons, no less!) is frightening, to be sure, but I’m positive that your thoughts are helping (and will continue to help) others who struggle with the same things. And I suspect (hope) that it’s affirming to you to know that your feelings are valid; that you may feel naked and exposed but no one is tittering or mocking; that we love and support you and admire your courage. What else? I’m glad to hear that you’re at a better place. This post has a lot of maturity and a lot of knowledge in it. Ultimately, we all have to forgive, or at the very least put anger and sadness and pain behind us. As any good therapist will tell you, carrying negative emotion around harms you more than it harms anyone else. Your statement on forgiveness echoes a lot of things that I’ve come to feel in my own life. We are wronged by others, yes. But everyone in these little dramas is human. Even when people do us wrong, it’s usually because of their own very human struggles and failings. There, but for the grace of God, go you or I.
I’ve got to run now — but great post, Amy. Consider yourself e-hugged. And I’m going to re-read , I’m sure, and continue to learn from your thoughts. Forgiveness saves us from the only harm that can mar us past death. I’m glad you found it. What I wonder, Amy, is how you came to forgiveness. I didn’t feel anger towards my parents until I had my own children and realized that I would never treat them the way my parents treated me, and I’ve been angry ever since. I’m angrier because I don’t see my parents growing up or trying to make any attempts to compensate for their earlier abuse and emotional distance. Telling my stories (via therapy, blogging and Sunstone) has been a start, but only a start. Thank you, Amy. There is nothing quite like facing the fact that those who are obliged to protect and nurture us can (and do) often damage us, whether or not they mean to. This has been poignant in my own life, and as I mother my children, I often wonder if I shouldn’t be saving for their therapy rather than for their college. 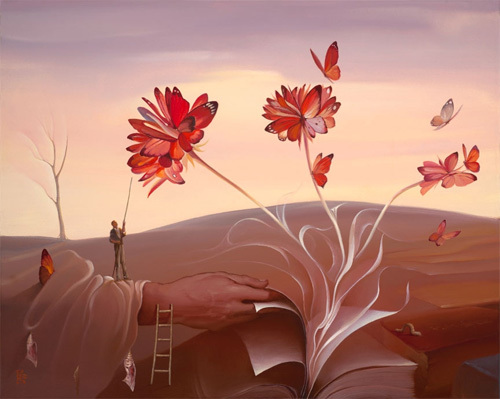 Anyway, you remind me that forgiveness is for freedom and peace of the forgiver–thank you. Amy, Thanks for this thoughtful, sensitive post. John, I can’t say for sure how I came to forgiveness. I give credit to some unknown force beyond myself that I call grace. I also did a lot of grieving before I came to it. At least you are passing a better legacy on to your own children and not repeating the cycle. idahospud, I’m not a mother yet, but I anticipate similar feelings. I have learned in my professional work with children that they are remarkably resilient. I’m willing to bet yours know they are loved, and that’s what counts. Caroline, I can totally get behind realizing that each person is evolving in their own way. It’s so helpful to remember and ultimately helps us to be much more compassionate and forgiving. Amy, Thank-you for this beautiful post. For me, forgiveness has been a gift from God. I remember the day that I forgave my father. As my husband and I knelt by my father’s grave, my husband asked if I had ever prayed for the ability to forgive my dad. I answered in the negative. I did not want to forgive him; he didn’t deserve my forgiveness. I did pray, though, and I remember feeling a physical release of pain that had been with me for so many years. Like Idahospud, I worry that I am damaging my own children. Anyway, thank-you for sharing your experience. Thanks for this post. I really like what you have to say about reaching a point where you see your parents as humans doing the best they can with their lives (even if that’s much, much less than perfect). It is an attitude of grace and generosity that I think exemplifies how we should always act towards one another. I found myself nodding in agreement when you said that marriage was the safe haven from which you were able to confront your past. Along the way I’ve found several vantage points from where it was possible to look some of my issues in the face. AmyB, thanks for such an honest, realistic, heartfelt account of forgiveness as something that comes with time and with the hard labor of grief. Too often in church we tell people whose lives have been devastated “just forgive,” which glosses over the enormous amount of work and time it takes to come to that grace. I really appreciate and admire people like you who are able to be honest about such painful experiences, and who are able to extend such grace and generosity to those who have hurt you. Amy- thank you for sharing your story. I know too well how you felt, even down to the smile you could not control- how strange is that feeling? Amy, this is an amazing story. It resonates deeply with me. I struggled to forgive my own parents for years. I had long recognized that my parents had done the best they could and that much of my anger was focused on actions and patterns of action over which they had no control. But that awareness did not lead me to the sweet peace of forgiveness no matter how fervently I sought and prayed for it. I know that eventually it was grace that, in an unexpected moment, washed over me and filled my heart with that forgiveness. I now find the love of my parents to be such a cherished gift of the spirit because I know that I couldn’t have found it on my own. Having found it, I can only hope that my children will forgive me the pain and anguish I have caused them as you have have forgiven yours. You said that you hope that your mom and dad can forgive you for not being the quintessentially perfect mormon daughter. I don’t know when your mother or father will see you as you really are–naked, and bathed in beauty and light, but I imagine that when they do, they will stand in awe at the incredibly amazing human being that you are. I know that I do! Shelves have a way of doing this (dammit). So many things expressed through Amy’s post gave me pause: Our responsibility to our children is huge, as I contemplate divorce myself, after nearly 30 years of trying to be the good Mormon wife and mostly falling short because I have never had the burning in the bosom that it’s all true and right, and I look at my several children and ask, “Is it fair to try to take care of myself?” Forgiving neglectful and abusive parents…and then there’s the priesthood holders who turn either to their manuals or their own dysfunction to then dictate outcomes for us that are life changing! Goodness! So many layers, so much hurt and guilt. I think ultimately we have to work on self-knowledge in a way that is just glossed over in “I am a Child of God”. We, with the help of our Savior, need to be our own best friends. I want to thank everyone for thoughtful and heartfelt comments. For those still struggling with forgiving parents, I feel your pain. If mine had been more wilfully abusive or had mistreated me terribly, I’m not sure I would be in the place I am today. emmie, your brief paragraph suggests to me volumes of pain and perhaps a long arduous life journey. I was particularly struck by your question “Is it fair for me to try and take care of myself?” I want to scream, YES! Yes, yes yes! If you have daughters, they can learn from you that a woman doesn’t have to lose herself in motherhood or give away so much of herself there is nothing left. They can learn from seeing a strong woman stand up for herself and get what she needs. Think of what your actions teach them. In full disclosure, I’m reacting from a place of watching my own mother seem to give herself away and for many years not fully care for herself (in my view). I wanted so much to see her be passionate about something, to do something just for her own pleasure once in a while. I wanted to see her have a strong sense of self. She’s getting better at that now, and it does my heart a tremendous amount of good. Lily on How does the priesthood apply to women? Chiaroscuro on How does the priesthood apply to women? DB on How does the priesthood apply to women? Age of women most likely to abort pregnancy? Not what you think. Here’s the video of Be One, the 40th anniversary celebration of the extension of LDS priesthood and temple worship to people of African descent. 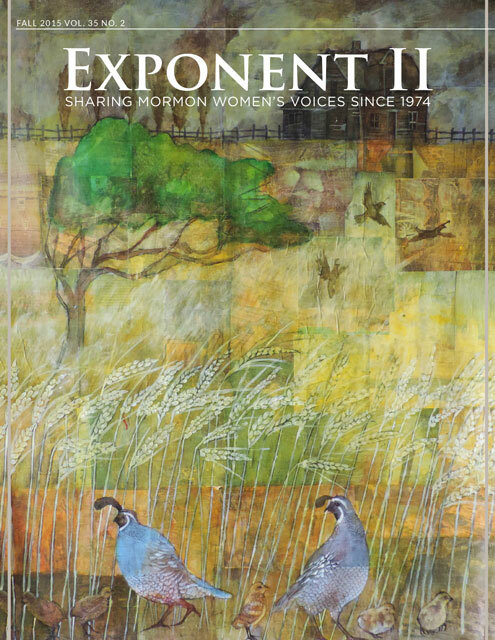 Exponent II Winter 2019: Subscribe! November Young Women Lesson: How do I know if I am becoming converted? March Young Women Lesson: What Is the Atonement of Jesus Christ? September Young Women Lesson: Why do we pay tithing? March Young Women Lesson: Why do I need to forgive others? January Young Women Lesson: What are the roles of the Holy Ghost? Exponent II is a participant in the Amazon Services LLC Associates Program, an affiliate advertising program designed to provide a means for sites to earn advertising fees by advertising and linking to Amazon.com. Exponent II participates in Google Adsense.